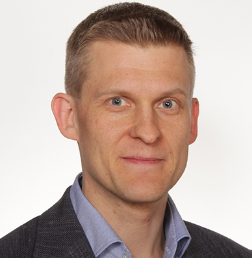 Dr. Timo Aalto has worked at VTT since 1997 with the primary research focus on silicon photonics. This has recently been one of VTT’s fastest growing R&D areas. He received his M.Sc. and D.Sc. degrees in optoelectronics technology from the Helsinki University of Technology in 1998 and 2004. He leads the Photonics Integration team that operates in VTT’s two clean room facilities. He has authored ~60 journal, conference and workshop publications and one book chapter. He has also reviewed EU projects, journal articles and theses, and coordinated several large (M€) projects funded by either the public sector or industrial customers. Obtained the M.Sc. in Telecom Engineering at the Universidad Publica de Navarra (Pamplona, Spain) in 2005, and received his Ph.D. in Applied Physics and Photonics at the Vrije Universiteit Brussel (Brussels, Belgium) in 2009. He has been involved in several national and European research projects and networks of excellence focused on reconfigurable optical interconnects, the design, fabrication and characterization of micro-optic devices, and on flexible access and in-building fiber network architectures. He has worked as a reviewer for several scientific journals and national funding agencies. He holds specializations in Business Financing, Commercial Management and Research, and Strategic Marketing. He is a member of IEEE, SPIE and COIT. 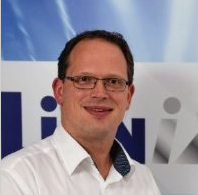 After his PhD at Univerity Ghent about Design and fabrication of silicon photonic IC wavelength-selective devices, he coordinated ePIXfab services for silicon photonics R&D and design services for UGhent/INTEC. Then he moved to imec to continue working for ePIXfab. 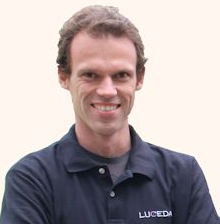 While he was project manager EU FP7 ESSenTIALh he Co-founded (as CTO) Luceda Photonics, an innovative company delivering CAD tools for design of photonic ICs. 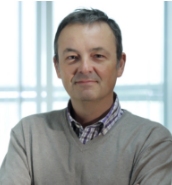 Martijn Heck is an Associate Professor in the Department of Engineering of Aarhus University, where he is starting up a fabless group on photonic integration technologies and applications. He received the M.Sc. degree in applied physics and the Ph.D. degree in electrical engineering from the Eindhoven University of Technology, the Netherlands, in 2002 and 2008, respectively. 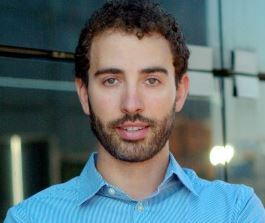 From 2007 to 2008, he was a Postdoctoral Researcher at the COBRA Research Institute in Eindhoven, where he was engaged in the development of a technology platform for active–passive integration of photonic integrated circuits. From 2008 to 2009, he was with the Laser Centre, Vrije Universiteit in Amsterdam, the Netherlands, where he was involved in the development of integrated frequency-combs generators. From 2009 to 2013, he was Postdoctoral Researcher and Associate Director of the Silicon Photonics Center at the University of California Santa Barbara, USA, where he was involved in photonic integrated circuits based on the heterogeneous integration of silicon, silica and III/V photonics. His research interests are photonic integrated circuits fabricated in III/V, silicon and silica platforms and their application to interconnects, microwave photonics, sensors and biomedical imaging and spectroscopy.